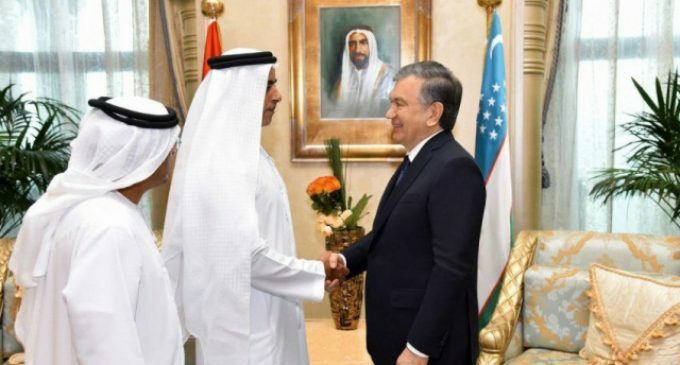 Uzbekistan and the United Arab Emirates (U.A.E.) have signed $10 billion worth of agreements on cooperation in investment and finance, renewable energy, industry and infrastructure development, agriculture, and other fields, according to Uzbekistan’s presidential website. The agreements were signed on March 25 in Abu Dhabi during talks between Uzbek President Shavkat Mirziyoev and the crown prince of the emirate of Abu Dhabi, Muhammad bin Zayed al-Nahyan, the deputy supreme commander of the U.A.E. armed forces. The parties agreed to broaden trade and economic ties, carry out joint projects on energy and infrastructure, strengthen cooperation in science, technologies, and education.